The Congo River is a source of life in the northwest region of Angola, sustaining a variety of agricultural activities and a burgeoning fishing industry. Citizens of this region are hard-working and dedicated, striving to enhance their livelihoods through a process of continual learning, and passing along acquired knowledge to others in the community. 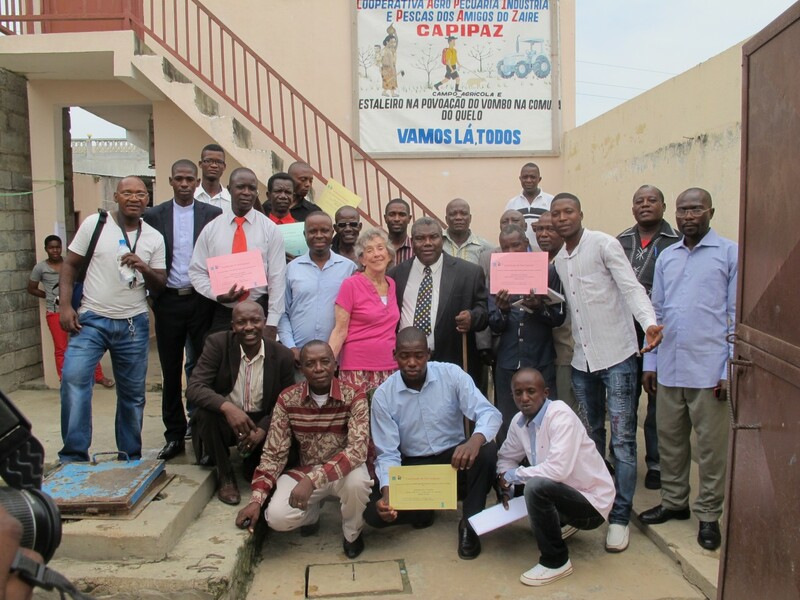 In 2013, a group of these farmers from the Municipality of Soyo, Angola established a cooperative named CAPIPAZ. 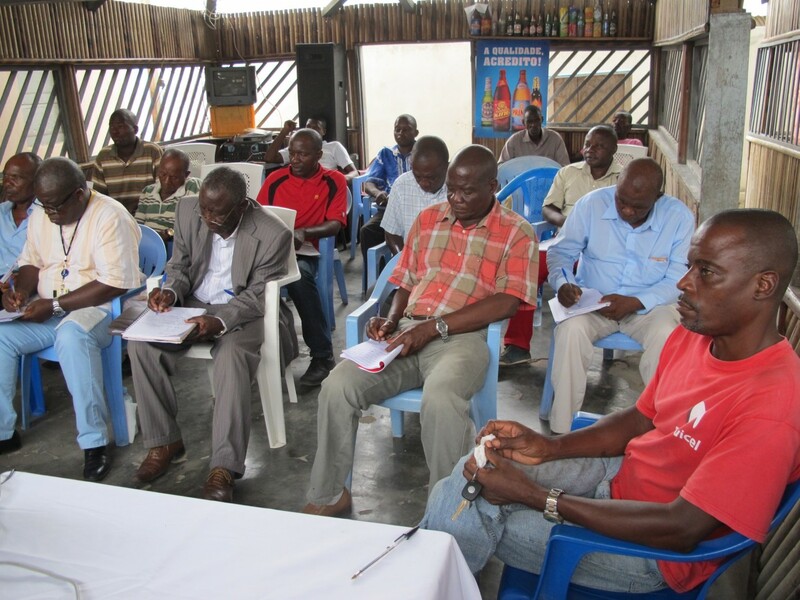 In English, CAPIPAZ stands for Cooperative Agro-Livestock Industry for Fishermen’s Friends of Zaire -a fitting name given the organization’s relationship with both the agriculture and fishing industries. The cooperative collectively farms on 2,385 hectares, growing a variety of vegetables ranging from tomatoes and onions to sesame and okra. The cooperative also maintains a symbiotic relationship with local fisherman, whereby the Board of CAPIPAZ purchases and provides fishing materials to fishermen in return for fish they catch that the Board then sells at the market. In addition to a booming farming operation, CAPIPAZ members own a restaurant and hotel, both of which provide additional sources of revenue. As their first venture into the tourism industry, CAPIPAZ members were anxious to ensure that their business operations not only succeeded but had room to grow. However, the cooperative lacked management training, as well as an agreed upon strategic focus and formal business plan. After identifying these internal challenges, CAPIPAZ requested assistance from CNFA to work with cooperative members to enhance their business capacity by building their technical skillsets and guiding them to develop a business strategy. CNFA responded by creating an assignment in which a volunteer would impart the basic building blocks and practical application of business management tools necessary to expand and maintain a successful enterprise. Fortunately, locating a volunteer in CNFA’s network up for such a challenge is often just a phone call away. In May 2015, business consultant and Farmer-to-Farmer volunteer Ann Savage travelled to Soyo to work with CAPIPAZ. 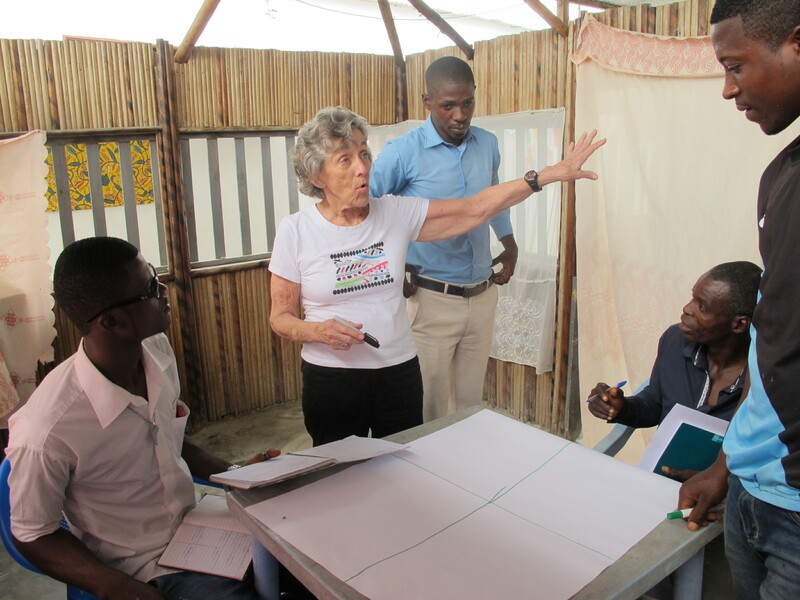 Ann previously traveled to Angola on almost a dozen occasions and brought a unique level of contextual experience to catalyze CAPIPAZ to maximize its potential. To ensure that every member’s voice was heard, Ann first conducted a SWOT analysis (strengths, weaknesses, opportunities and threats). This empowered cooperative members to examine their thoughts about the cooperative’s existing structure, and allowed individuals to reflect on diverse viewpoints regarding the strengths and weaknesses of the organization. She then worked with CAPIPAZ to identify trends from the SWOT analysis and encouraged them to find practical solutions to their weakness and ways to bolster the existing capacity of their organization. With Ann’s guidance, the Board and members wrote their own business plan, as well as devised a clear mission statement which now serves as a unifying directive for all current and future members. She also supported stakeholders in updating the cooperative’s bylaws and made a recommendation that they hold annual general meetings to vote on and approve changes in the bylaws. When a F2F host like CAPIPAZ invites a volunteer to support their organization they are doing more than just expressing a curiosity about American business and culture. They are expressing a commitment to a cultural exchange that involves the potential for transformation, the potential for the changing of mindsets, and the progression of skills. But it can’t be one-sided or just about the host identifying a need. This assignment worked due to both parties’ mutual commitment in learning from each other and collectively identifying a course of action in which the organization could focus on and grow from. This kind of organic volunteer support, along with the relationships and human resources that maintain it after the term of a single assignment, provide the backbone for sustainability and continued success.